Ember was born June 7th, 2012, one of 4 girls in the litter. She is a lovely girl that loves to cuddle. Ember has turned out to be everything I expected. We are expecting her to do great things in the conformation ring. She finished her Championships in no time flat. In April 2014 she finished her CKC Ch. and ended the weekend with a Best in Show. 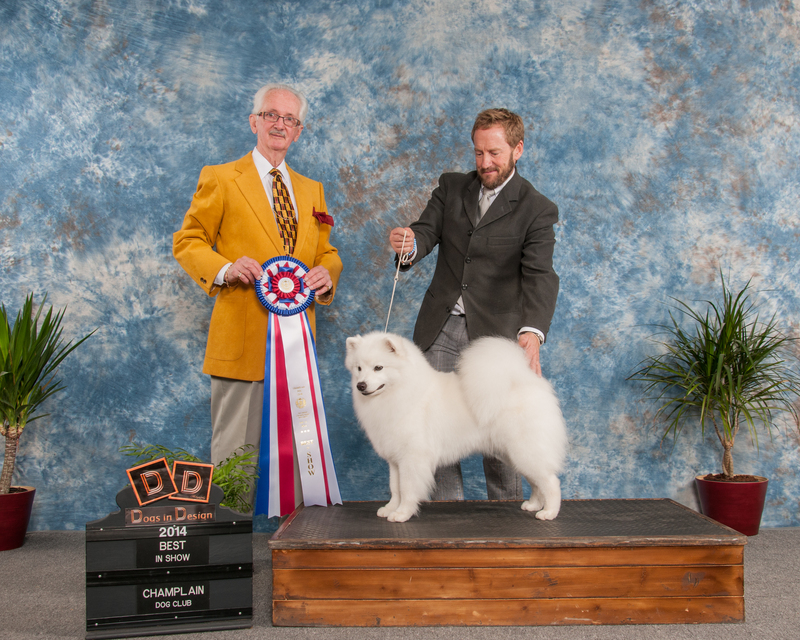 In July 2014 Ember finished her UKC Grand Championship in July. Kilaun takes home Best of Winners!